As you may know today is Martin Luther King’s Day! While commemorating the great deeds of this man who fought for his entire life for civil rights, we would like to talk to you more in depth about our “coming soon” project. As already mentioned, in the coming weeks our President will be in the Philippines and the official inauguration of the Kito-Health will take place in the city of San Fernando La Unión. Shera has been recently hired as Project and Training Assistant and will be in charge of the proper conduction of the training that Kito Onlus will provide to the beneficiaries of SFLU. Together with Dr. Eduardo Posadas, Project Officer appointed by the City Mayor, she will be our reference person in the field, coordinating the whole project from its implementation to a correct and smooth functioning, raising the awareness of the beneficiaries on health and hygiene and making them resilience and able to cope with present and future natural disasters and shocks. After the official consignment of the unit, Kito-Health will be ready to operate. Our unit has been designed to face appropriately emergency situations like the ones that threaten the city of SFLU. However, what makes Kito-Health unique is its advanced technology and sustainability. 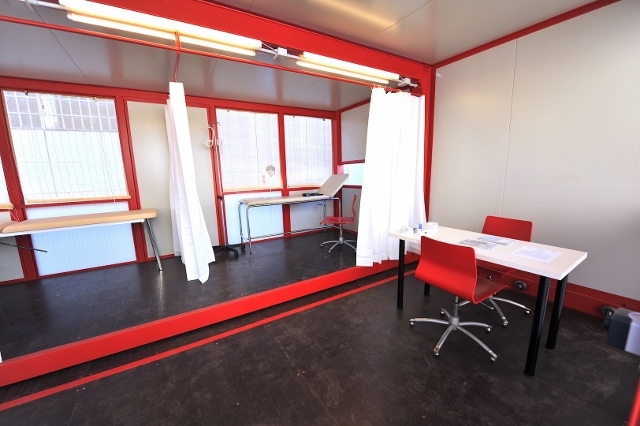 Our unit is eco-friendly and equipped with solar panels. What’s more? It is ready to give an immediate answer to emergencies, functioning as a first aid center. The next step will be a necessary training of the population for the correct use of Kito-Health but… You will get to know this more in details if you keep following us in the next days!